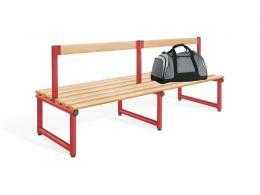 What is the purpose of the antibacterial low back bench? A low back bench is a common sight in a number of different locales ranging from changing rooms to outdoor recreational areas. The antibacterial low back bench is a novel addition to the family of low back benches as it adds the benefit of protecting users from harmful bacteria or viruses. 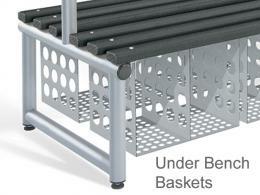 Any gym that seeks to keep their users healthy would make a useful investment in the antibacterial low back bench. Where can the antibacterial low back bench be used? Changing rooms for gym areas can benefit from having these kinds of benches because of the high incidence of bacteria that may infect gym changing room floors. In order to keep healthy, these antibacterial low back benches kill a majority of all germs on contact, leaving a changing room relatively germ-free. The anti-bacterial coating that comes standard on these benches go a long way towards controlling communicable diseases. Who might use the antibacterial low back bench? Although gyms are some of the most common users of the antibacterial low back bench, they can also be used as seating in nurses' and doctors' changing stations in health centres or hospitals. Since these areas are usually prone to having infectious bacteria omnipresent, the anti-bacterial coating of the antibacterial low back bench is a useful and possibly essential ingredient to ensuring that workers in these locales don't get sick or spread disease. 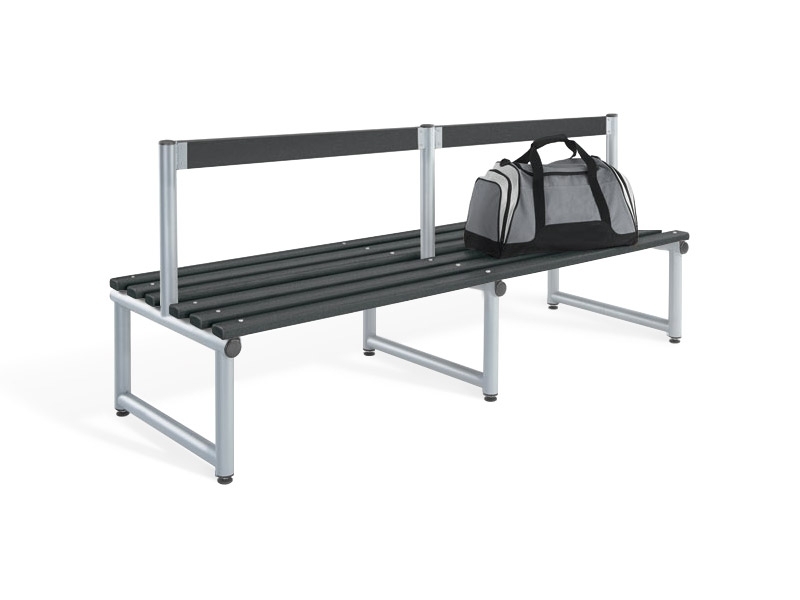 The antibacterial low back bench is constructed for strength and durability and comes with welded round-tube construction to ensure that it can stand up to rigorous usage. The adjustable feet are great for uneven floors. The benches can come either single or double sided and the seats have the option of being light ash timber seat slats or hygienic polymer. 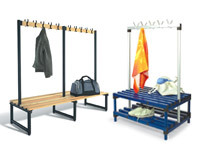 The Activecoat antibacterial finish completes the bench making it a very useful item in any changing room it's installed in.